Cordón de Puntas Negras is a stratovolcano in northern Chile 46 km SE of Lascar volcano. The volcano has a number of fresh-looking cones and craters such as Cerros Cenizas, Aguas Calientes, Laguna Escondida, and Chinchilla with well-preserved summit craters and short lava flows. In addition, there is a distinct maar and a large, 13 sq km silicic lava flow and dome complex. It is thought that some of these vents are less than 10,000 years old, or even historical in age. 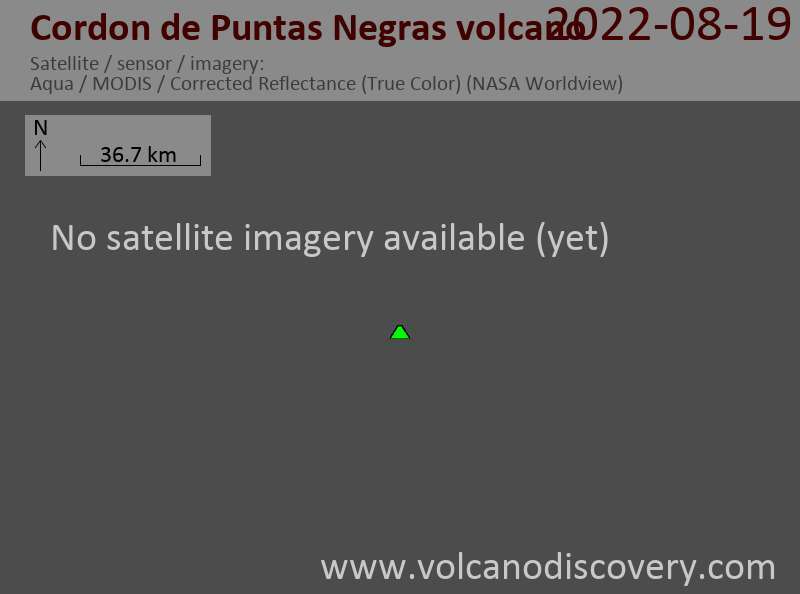 The youngest of the complex is a crater SE of Cerro Laguna Escondidax.